Contest time! 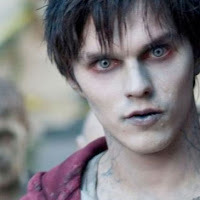 We're pretty excited about Warm Bodies, a new zombie flick they're billing as a "zom-rom-com" because the main zombie character falls in love. Any movie based on that premise — a zombie in love! — is going to have our attention. Even more so when the love-lorn zombie in question is played by Tony from the first two seasons of Skins. (Or, you know, Nicholas Hoult, if you prefer real names.) Throw in a zombie Rob Corddry and... well... we'd be so excited about that kind of film that we'd be willing to hold a contest to help promote it. 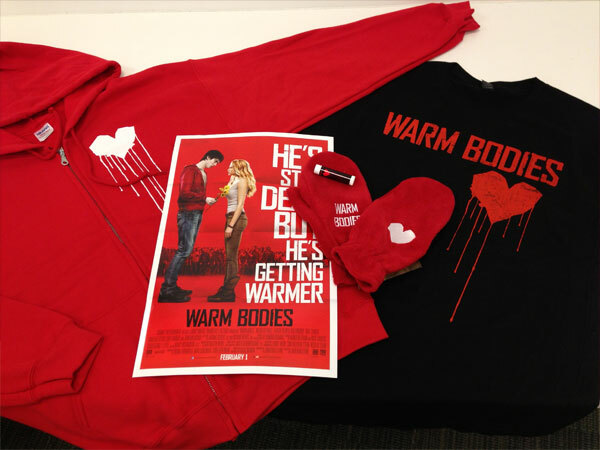 So here's the deal: we've got a prize pack valued at $105, which includes a Warm Bodies hoodie, T-shirt and mittens, plus buttons and chapstick. It's supported by Yogurty’s and Jamba Juice. Plus, on top of all of that, there's a chance to win a grand prize trip for two to Cancun, Mexico. Or a second prize of a private screening for two and two $250 Roots Canada gift certificates.